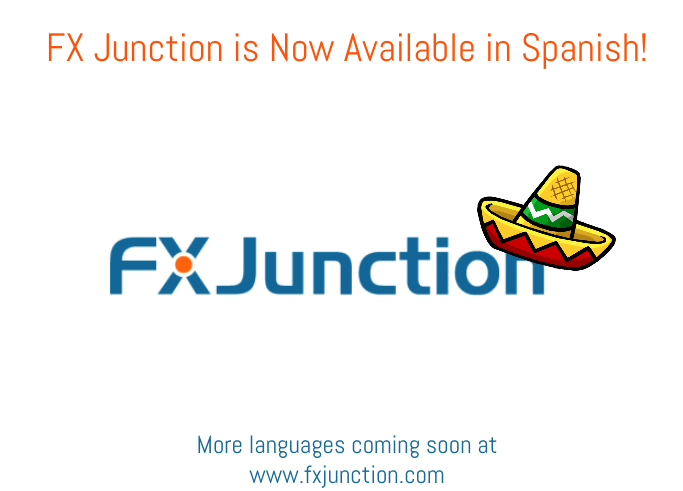 FX Junction - FX Junction Now Available in Spanish! FX Junction Now Available in Spanish! FX Junction, the world's largest open social trading network, is now is even more user friendly and easier to use! The release of the Spanish translation, allows members to simply view the enitre FxJunction.com website in Spanish. More language translations are anticipated to arrive in the new year -some of which being Russian and Arabic. Free to join, FX Junction is an online social trading network that enables its members to create a profile and follow other memebers from around the world. With FX Junction, memebers can easily communicate, share trading strategies and market information, as well as choose to link their MetaTrader trading account from any broker of their choice in order to view and analyze their trading perfomance, AutoCopy trading signals and much more. These are advances that must be made sooner or later, this allows many people to be made from other content. Please sign in to add comment.